All artefacts which are numbered will be delivered with description and a pictured certificate of origin. No. 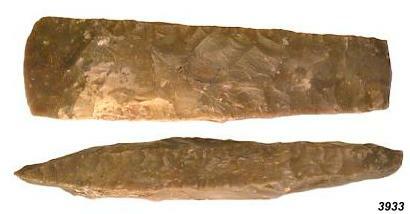 1.1626, neolithic celt blade unpolished, Double Celt (rare), made from Silex, "Danflint", graywhite, on one side brownish. No. 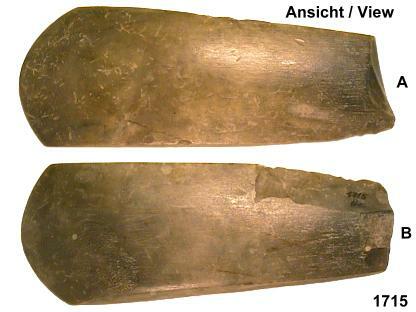 2.1627, neolithic celt blade unpolished, made from Silex, "Danflint", white-gray. No. 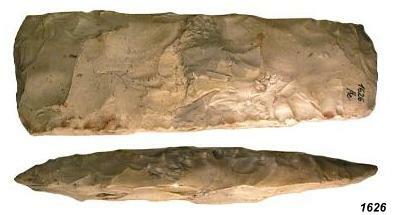 3.1625, neolithic celt blade, polished, made from Silex, gray, yellow patination. Base with prehistoric break. No. 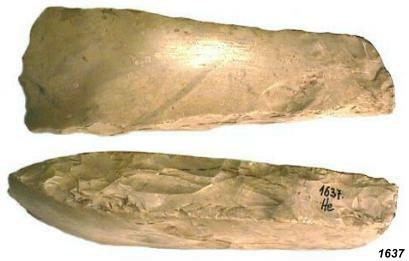 4.1637, neolithic celt blade, polished, made from Silex, white-gray. No. 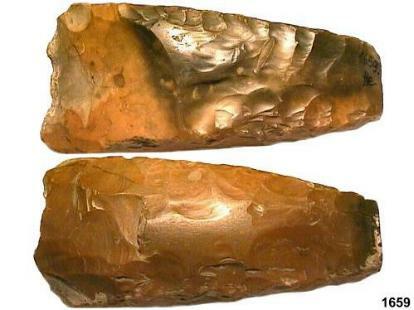 5.1677, neolithic celt blade, polished, made from Silex, yellow-ivory coloured. Celt blade is only polished in the bit range, use polish on the artifact. Nr. 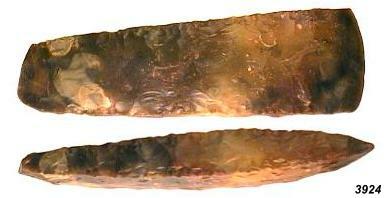 6.1659, neolithic polished celt blade made from gray Silex, reddish-brown patination. Bit roughly chipped with hollowed bit, prehistoric re-worked. No. 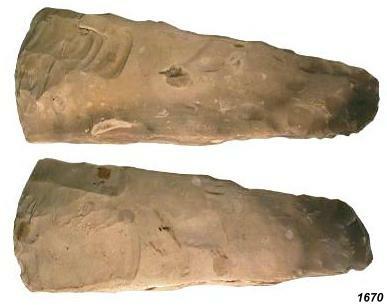 7.1637, neolithic celt blade, polished, made from Silex, gray-white. Small prehistoric chipping in the bit area, otherwise best preservation. No. 8.3923, neolithic celt blade, polished, made from Silex, gray-white. No. 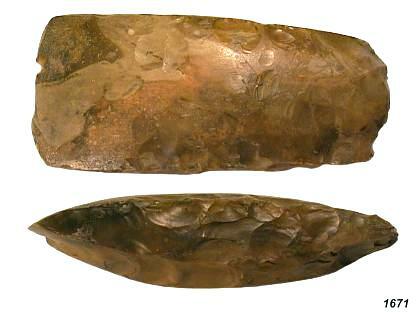 9.3924, neolithic celt blade, unpolished, made from Silex, gray with white inclusions, bright to deep brown patination. No. 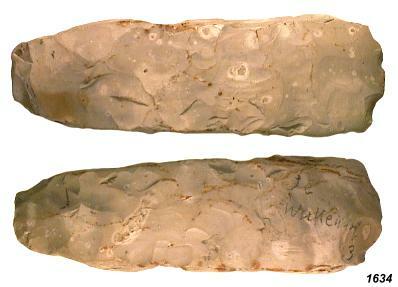 10.3933, neolithic celt blade, unpolished, made from Silex, gray-pale brown, white mottled, with fossil inclusions. No. 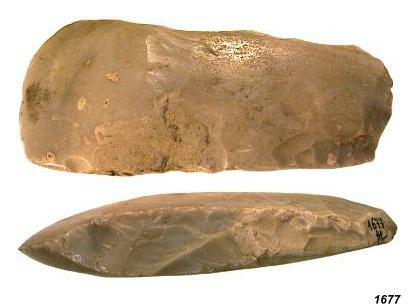 11.3936, neolithic celt blade, polished, made from Silex, mouse-grey with bright fields, slightly translucent. 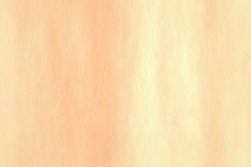 Very thin, best preservation, rare! No. 12.1634, neolithic celt blade, polished, made from Silex, white up to pale gray. No. 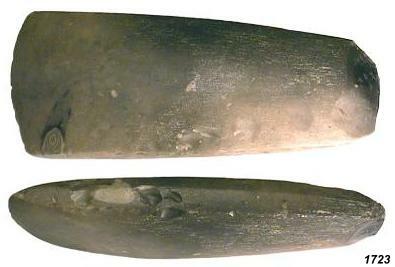 13.1669, neolithic celt blade, polished, made from Silex, Base dark gray, up to the bit white. Nr. 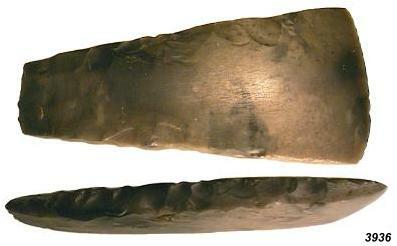 14.1670, neolithic celt blade, polished, made from Silex, Base dark gray, up to the bit white. Prehistoric reworked. Nr. 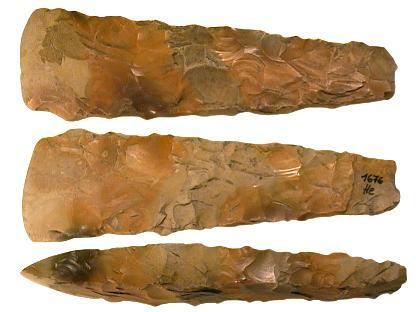 15.1671,neolithic celt blade, polished, made from Silex, gray-white mottled, reddish brown patinated. 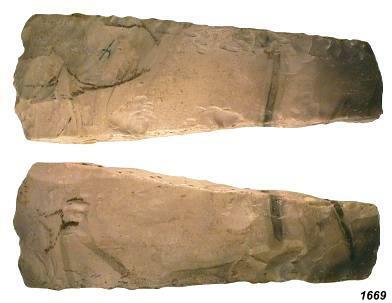 Celt blade has been produced prehistorically from a larger celt and has 2 bits. No. 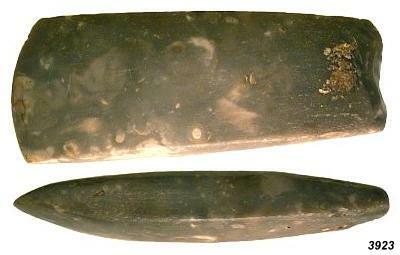 16.1717, neolithic polished celt blade, made from pale gray up to dark gray Silex. This is a prehistoric heavely used celt which was several times prehistorically reworked. Nr. 17.1673, neolithic celt blade, polished, made from Silex, Base dark gray, up to the bit getting white. Artefact produced from a broken celt (base piece) prehistorically and provided with a hollow bit, added coarsely. No. 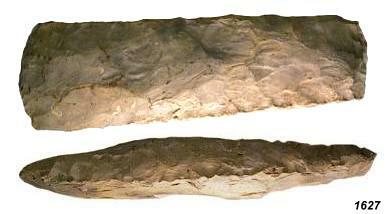 18.1677, neolithic celt blade, polished, made from Silex, (Chalcedon), gray-white mottled. Neolithic Pre-form of an Celt, triangular cross section (therefore it may be also a cheasel- or dagger preform). One end with cortex. These pre-forms were used as pre- monetary payments. 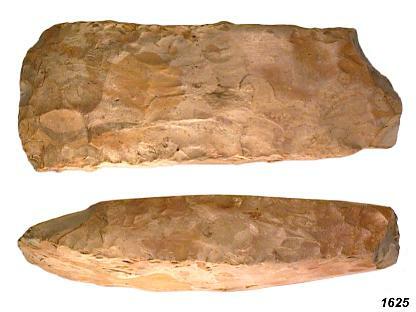 Neolithic Pre-form of an Celt, rectangular cross section. Both ends with cortex. Nr. 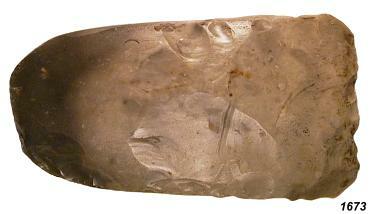 21.1715, nice neolithic celt, nearly complete polished, made of pale gray Silex with many micro fossils.